MOTOTV™ and YAMAHA™ have partnered up to help transform your sales floor with an exclusive deal available only to YAMAHA dealers. 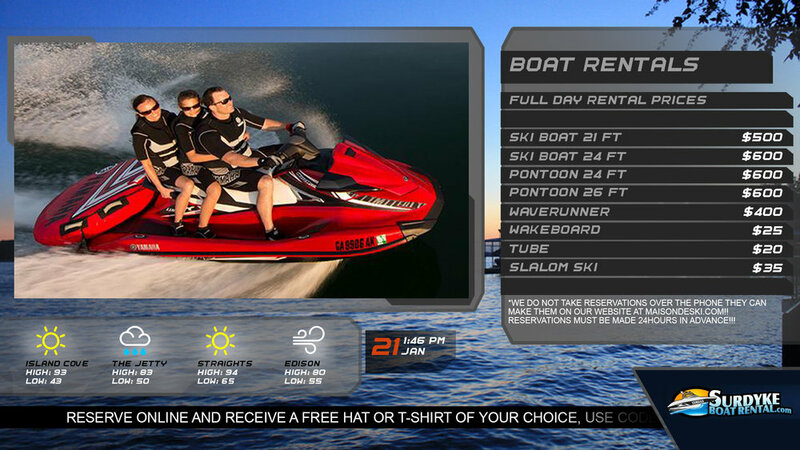 Yamaha Watercraft TV is everything Yamaha Watercraft, from high performance videos showing the boats you sell in action to the latest sales and marketing programs. YAMAHA TV is designed to close the deal! In addition to pumping relevant high definition content to your TVs, a customizable ticker on the bottom of your screen can be adjusted at any time to alert customers to your stores local sales and events. Edit and display your own promotions without stepping foot into your shop. Sprinkle in 20% of all your other Yamaha lines to keep your customers excited about everything you have to offer! Our online dashboard makes it easy to manage the type of content you show and when.